Our nourishing Double C Vitamin C Serum is a light formula enriched with botanical extracts like Aloe leaf extract and Witch Hazel. It makes a wonderful addition to any health and beauty routine. No mineral oil. No artificial color or fragrance. Not tested on animals. DIRECTIONS: Apply a few drops directly to the skin. Gently rub into the skin until absorbed. Apply in the morning and evening. INGREDIENTS: Chondrus Crispus (Carrageenan), Aloe Barbadensis Leaf Extract, Chamomilla Recutita (Matricaria) Flower Extract, Hamamelis Virginiana (Witch Hazel) Water, Soluble Collagen, Sodium PCA, Avena Sativa (Oat) Kernel Oil, Ascorbic Acid Polypeptide, Sodium Ascorbate (Vitamin C), Sodium Hyaluronate, Propylene Glycol, Alcohol, Water, Diazolidinyl Urea, Methylparaben, Glycerin, Propylparaben. WARNING: Avoid this product if you are allergic or sensitive to any of the ingredients in this product. Do not apply to broken or irritated skin or areas affected by rashes. Discontinue use and consult your doctor if skin sensitivity occurs. Avoid contact with eyes. Do not use on children or animals. Keep out of reach of children. Store at room temperature. Do not use if outer seal is broken or missing. Double C Vitamin C Serum is rated 4.1 out of 5 by 14. Rated 5 out of 5 by Winston from Great product never in stock Great stuff. Good price. Never in stock. Would like to know when you had it last. Seems you can't get it together. Will have to change product and vendor. Rated 5 out of 5 by Lisa14626 from Love it! I love it. Makes my skin brighter and I love the way it feels on my face, but it has been on back order way too long. Good thing I stocked up when I did, but I am getting low. I hope they restock soon. Not great business when you have a product in high demand, and you cannot provide. I will probably have to research for something to replace this if they do not get more of this soon. Rated 5 out of 5 by Health4theFUTURE from Can't get enough.. literally! LOVED this for several years & even before it was bought out by Vitamin World. Still love the product, just find it's always sold out at my local retailer & out of stock & back ordered when I go on line to try & purchase. And sadly the price is significantly higher than when it was manufactured & sold by the prior entity. 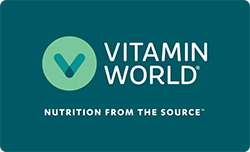 I was served better by Vitamin World when this product was provided by an outside vendor & sold in their store. Rated 5 out of 5 by Sunshine from Happy I use the Double C serum with the Retinol in the evening. I have a brown aging spot that I was hoping this would help remove. Time will tell how effective the serum will be. Rated 4 out of 5 by Pauly from Good product at very fair price Was quit pleased with the quality of serum that was priced very fair. Rated 1 out of 5 by CIndyL from Don't like the smell I am returning this item because of the funny smell - couldn't stand to have it on my face.